Here is this year’s press release. The last couple of years, the BA has helpfully annotated the list, saving me lots of time, since I’ve been annotating the list for the last nine years, but they’ve abandoned that practice for a second year. So for the ninth consecutive year, I’ll also posted an annotated list, showing the changes in each brewery’s rank from year to year, but it will take me some time to put together so I’ll have that again later tonight or tomorrow. 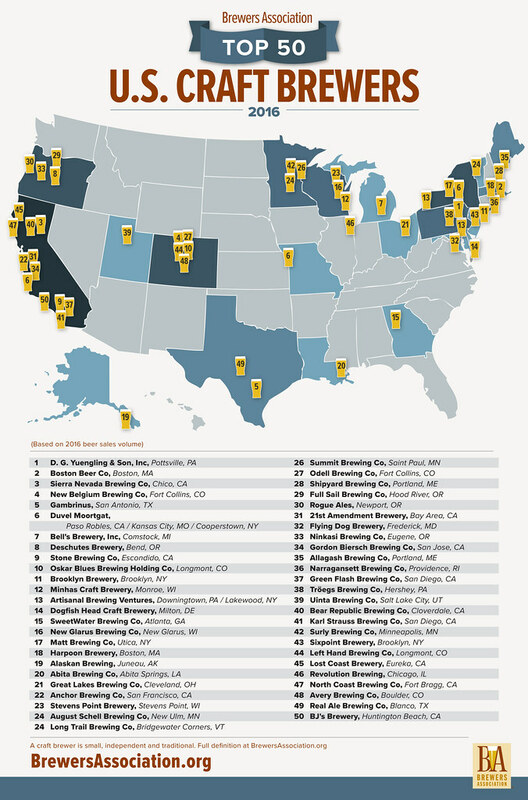 And similar to last year, the BA created a map showing the relative location of each of the breweries that made the list.